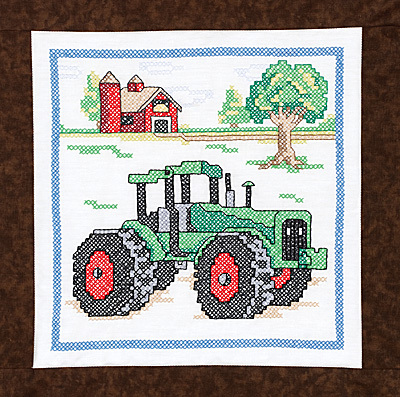 Tractor Quilt Blocks are one of our newest designs from Sandy Garbrandt. 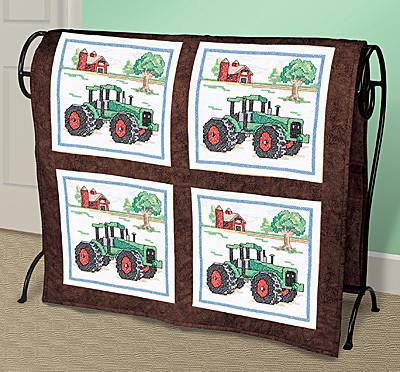 These quilt blocks feature tractors and a farm in the background. Use the floss colors suggested, a favorite pallette for many, or use your favorite colors. Contains: 6 screen-printed 18"x 18" 45/55% polyester / cotton broadcloth blocks, needle, graph and multi-lingual instructions. Floss not included. Made In the USA by Janlynn.